We love themes around here. Doesn't matter if it is for a major holiday, a made-up one, or just a week surrounding our boy's favorite ocean animal. Theme wear, themed decorations and theme snacks make celebrating, no matter what the occasion, more fun! 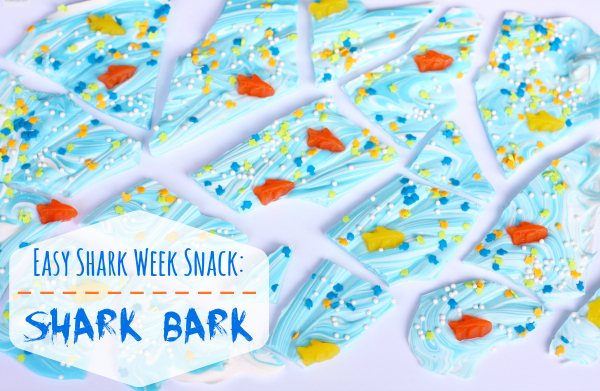 It's shark week and the kids had so much fun helping us create this delicious shark bark to snack on all week. Bark recipes are some of our favorites because they are so dang simple! Some melted chocolate, some sprinkles and toppings and it is done. That is our kind of recipe. 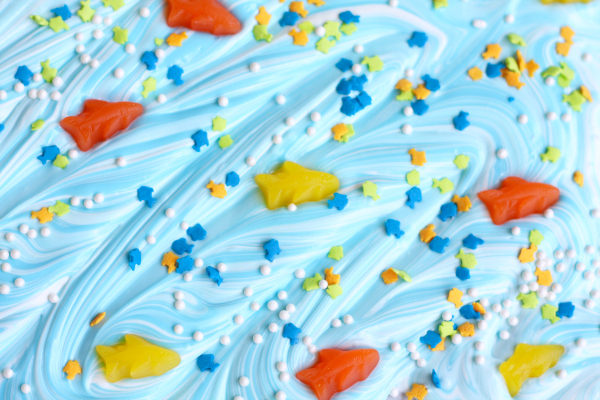 It looks colorful and cute and our taste testers always approve of this yummy sweet treat. 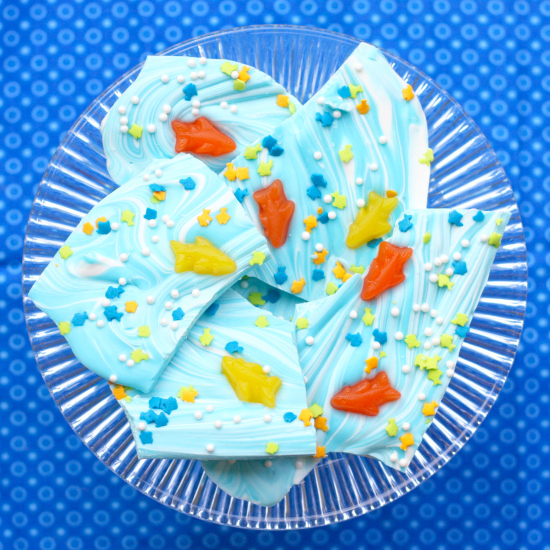 We're sharing the details of this shark bark over on Savvy Sassy Moms today so be sure to head over and check it out!